Danmei Sun is an Associate Professor of Textile Materials & Engineering at the School of Textiles & Design, Heriot-Watt University, UK. She obtained BSc degree in Textile Engineering from Qingdao University. She then worked in a large-scaled textile manufacturer for 12 years as Textile Engineer, before pursuing a PhD in plasma treatment of textile materials at Heriot-Watt University. Dr Danmei Sun is an Associate Professor of Textile Materials & Engineering at the School of Textiles & Design, Heriot-Watt University, UK. She obtained BSc degree in Textile Engineering from Qingdao University. She then worked in a large-scaled textile manufacturer for 12 years as Textile Engineer, before pursuing a PhD in plasma treatment of textile materials at Heriot-Watt University. Dr Sun conducted research on textile properties and processes affected by plasma surface modification for her PhD project. Following her PhD completion, she became a Post-Doctoral Research Assistant working on a three-year MOD (UK) funded project at the School of Materials, Manchester University. The research involved 2D/3D fabric development for improved ballistic performance and Finite Element Modelling to understand the mechanisms of body armour impacted by projectiles. Since joining the School as an Assistant Professor in 2010, Dr Sun has been extensively involved in research of development of smart/functional textile materials for thermal regulated garment, thermal analysis of textile using Finite Element Method and development of shock absorbing polymers for anti-ballistic application. Her research interests lie in the areas of functional fibers/filaments for smart textiles, eco-friendly printing and dyeing, anti-ballistic materials for soft body armour, Modelling and Predication of textile properties through Finite Element Analysis, Constructed and Printed 3D structures, and surface modification of textile materials using plasma technology. As Principal Investigator she has succeeded research funding from various funding bodies such as CDE/MoD, Scottish Funding Council, Oil and Gas and Innovation Centre, Harris Tweed, Textiles Future Forum, etc. Dr Sun has served as external examiner for PhD thesis in universities both in the UK and internationally. She is a Member of Fiber Society, and Editorial Board Member of Journal of Industrial Textiles, Journal of Fiber Bioengineering and Informatics, Advance Research in Textile Engineering, International Journal of Textile and Fashion Technology, and Journal of Fashion Technology & Textile Engineering. Smart/functional polymers, fibers and fabrics; Engineering design 2D/3D fabric structures for performance textiles and clothing; Finite Element Modelling of textile materials, structures and properties; Micro/Nano encapsulation of PCM for thermal management textiles and clothing; High velocity impact mechanisms of textiles; Plasma treatment and nano-scaled modification of textiles; Textile printing and finishing with added functionalities. Guowen Song received his PhD degree in Textile Engineering, Chemistry and Science, at North Carolina State University College of Textiles in Raleigh, North Carolina. Currently he is the Noma Scott Lloyd Chair in the Department of Apparel, Event and Hospitality Management (AESHM) at Iowa State University College of Human Sciences. Songs academic interest is in functional textile materials and protective clothing and systems to improve human health and safety. His work involves modeling studies of human physiology, textile materials and protective clothing, development of devices and test protocols, and analysis of textile and clothing performance. His current focus is to establish a unique, multi-faceted, cross-disciplinary research and education program that can integrate theoretical study, new technology discovery and engineering with aims to revolutionize clothing system function and performance. These studies include lab simulations, application of instrumented manikin technology and special designed human trials, including 3D body scanning, human motion analysis approach. Dr. Song has published over 100 scientific papers in peer-reviewed journals and conference proceedings. He authored several books and contributed a dozen chapters to books in his field of study. Functional textiles, protective clothing, modeling and textile performance analysis. Dr. Ja Young Hwang received her Bachelor of Fine Arts and Master of Design degrees in fashion design from Kookmin University, Seoul, Korea. She received her Doctor of Philosophy degree in apparel merchandising and design at Iowa State University. She first started her teaching career in 2006. Prior to joining Kent State University, she served as an assistant professor at the University of Arkansas, teaching undergraduate and graduate advanced product development courses and the CAD patternmaking software OptiTex. Design Thinking and creativity, Design process and research method, Functional Design, Cultural, personal experience and creativity influences on design process, Sustainable fashion processes and practices, Technology application in design process. Dr. Shu Hwa Lin is an Associate Professor at the Department of Family & Consumer Sciences in the Fashion Design & Merchandising program at the University of Hawai ̒i at Mānoa. Her research examines new forms of textiles and clothing that contribute to the health, protection, comfort, utility, and appearance concerns of individuals and groups with special needs. 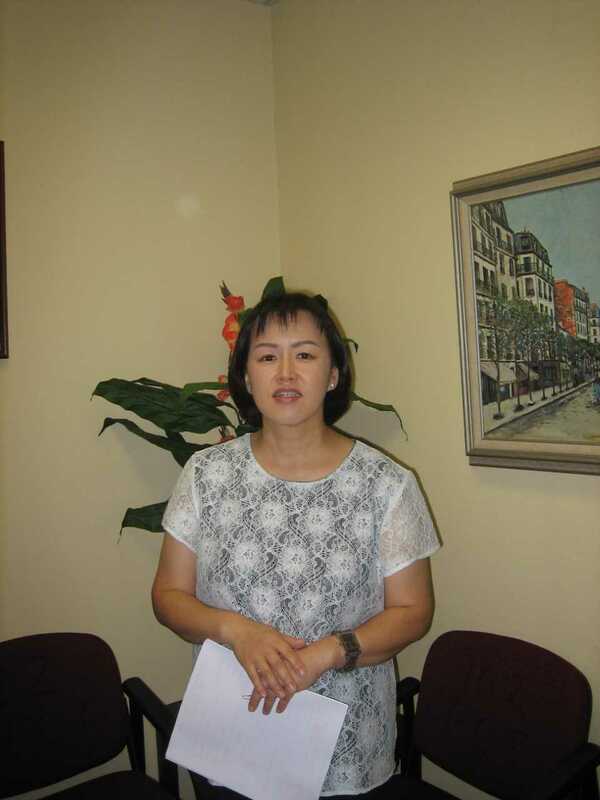 Dr. Lin received her Ph.D. degree in Textile & Consumer Sciences from the Florida State University. She earned the Master degree in Consumer Affairs from Auburn, AL. For thirteen years Dr. Lin worked in apparel companies as a Technical designer in charge of patterns and production management. She is especially interested in functional high performance textiles in the clothing design. In 2015, Dr. Lin was invited as one of the keynote speakers at the 3D body scan and fit simulation evaluation, Chinese Institute of Textile Engineer Conference, Taichung Taiwan; also in 2011, one of keynote speakers at the 12th International Union of Materials Research Societies (IUMRS) Symposium F6 and IUMRS is organized by all of the Materials Research Societies in the Asian area (IUMRS-ICA); Sep 21-23, 2011. Dr. Lin is an academic, design researcher as well as a design practitioner, practicing across functional clothing, textile, healthcare, and mass apparel product with technology. She has published about 200 papers in refereed journal articles, trade journals, videos, YouTube video, and refereed international conference proceedings. 3D body scanning and fitting simulation, functional clothing, smart clothing, culture design. Jung-Im Seo is an Assistant Professor in the Department of Family and Consumer Sciences majored in Apparel Merchandising and Textiles (AMTX). She received her MS from University of Georgia at Athens (UGA) in Fashion Merchandising and a Ph.D. from University of Tennessee at Knoxville (UTK) in Retail and Consumer Science. She has over 10 years of teaching experience at university level. She has a wealth of research experience, which includes many presentations at research conferences and publications in high-profile journals including consumer shopping behaviors, ready-to-wear clothing fitting issues, clothing product involvement, and important implications for retailing. Her interests are in research areas, 3-dimentional clothing fitting issues for apparel pattern design and clothing fit improvement based on body images, internet shopping behaviors, and purchasing decision making. She is very passionate about the teaching of the new computer design skills and the 3D virtual draping technique. Apparel Fit with 3-D Body Scanning, Consumer Shopping Behavior, Product Involvement, Technology and E-Commerce, Fast Fashion, Retailing and Consumer Information Processing Issues. Prof. Byung Hoon Kim has completed his PhD in Physics from Seoul National University, Korea, postdoctoral studies from Electronics and Telecommunications Research Institute and Korea Basic Science Institute, Korea. He was a research professor at UNIST. His current research interests are electronic textiles fabricated with currently used textiles and the interaction between low dimensional materials and gas molecules. He is also interested in the energy storage with natural materials. Electronic textiles fabricated with currently used textiles, interaction between low dimensional materials and gas molecules, energy storage with natural materials. Dr Henry obtained a BSc (Textiles Design, Design Management) from the University Of Manchester Institute Of Science and Technology (UMIST) and a PhD (Colour Software Development) from the University Of Leeds School Of Design. 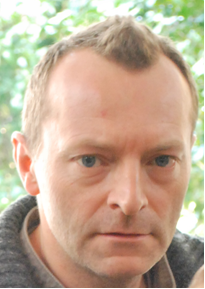 He worked for three years as a woven designer in the worsted industry before joining Ned Graphics, specialists in the field of Computer-Aided-Design software development. He has a wide range of experience gained from over ten years consulting in the international textiles and fashion manufacturing industries and has extensive knowledge of bespoke design and coloration software as well as the related digital manufacturing technologies. He joined the University of Leeds in 2002 where his responsibilities include teaching textile design and design technology at the School of Design. Tracy Diane Cassidy is a trained knitwear designer experienced in knitwear and bespoke bridal-wear design, manufacture and retail. She holds a BSc (Hons) in Knitwear Design and Production, an MA in Design & Manufacture (Fashion & Textiles). She obtained her PhD through the investigation of colour forecasting and is the first author of the book Colour Forecasting (Blackwell). Tracy is a Reader in Fashion & Textiles, at the University of Huddersfield; Department Lead in Research & Innovation; Centre Director of Textiles Thinking Research Centre and Centre Director of Fashion & Costume Thinking Research Centre. Tracys research takes a design thinking approach focusing predominately on areas of interest where design and business practice meet, for example colour forecasting. Other work focuses more on design practice with an emphasis on design tools and techniques. More recent research leans towards sustainable practice that considers the environment and socio-economic factors in the design business practice context, for example vintage, second-hand and upcycled product as aspects of the circular economy. The triangulation of design, business and people for sustainable practice is of particular interest where change is needed in order to both preserve and innovative, as appropriate, products, practice and skills for a more sustainable existence. Through design thinking Tracy interrogates and analyse processes, systems and practice to conceptualise and/ or model situations in order to recognise and propose change to negative impacts on consumers / societies, products and the environment, through design business practice thinking within the scope of fashion and textiles. While trends and colour have remained particular areas of research interest in both design and marketing applications, more recently research interests include home furnishings and interiors encompassing fashion and textiles in a much broader context. Tracy recently trained as a master upholsterer using both modern and traditional materials and techniques. Upholstery and furniture decoration are the mainstay of her practice. She is an established author with international presence, a reviewer for many reputable journals, and editorial board member. Marlena Pop is Senior Researcher at the National R&D Institute for Textiles and Leather from Bucharest, Romania. She researches product and system design, and is the initiator of several humanistic research directions for the industry. She has conducted several national research projects in fashion design and textiles-leather and has contributed as research team member in international projects. She has responded to demands of national universities, as invited professor, and to journals, as author of articles, as well as the editor-in-chief of Dialog Textil(ro) journal. She has been collaborating with international specialized journals and publications of international conferences she has participated in, as evaluator and reviewer for AUTEX Journal and Art in Society Journal. She is the author of over 150 articles, 100 products, from textile products, leather or garments to cultural work tools for designers, 20 coordinated research projects, 5 methods of developing creativity and concept analysis or LCA, also the author of 3 specialized books. She is the initiator of the concept of cultural sustainability of a product, also developing cultural work tools in identity design. She is a member of textile and fashion associations in Europe and USA. 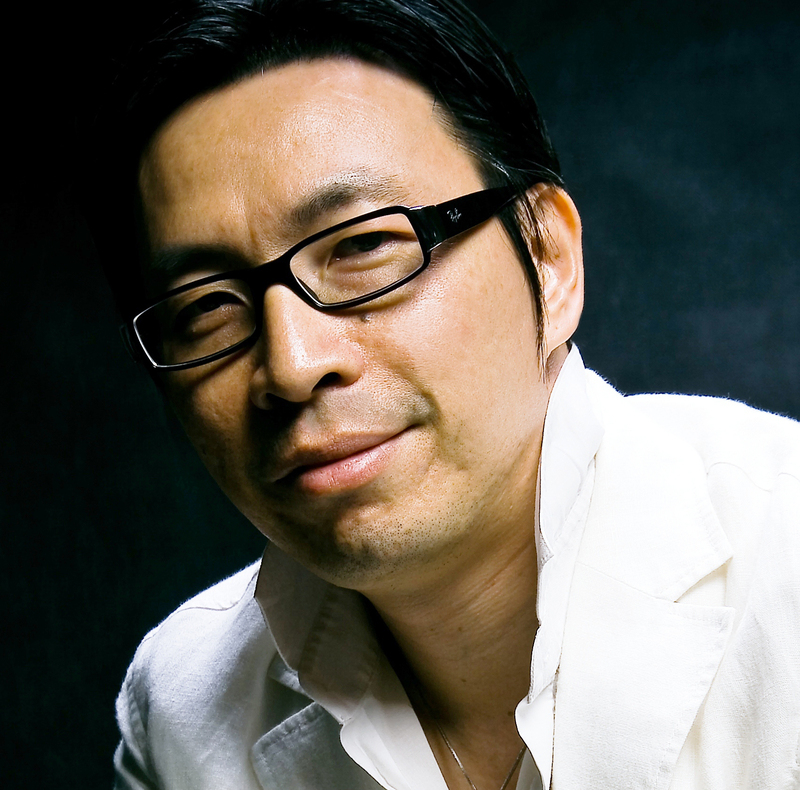 Joe Au is Associate Professor in Fashion Design, Institute of Textiles and Clothing, The Hong Kong Polytechnic University. His research focus includes the development of fashion design theory and its application on different fashion domains, such as older peoples fashion and 3D printed technology for future fashion. As a researcher and practitioner of fashion design, he aims at solving design problems through adopting practice-based research methodology. Fashion design theory, older peoples fashion and 3D printed technology for high fashion. Dr. Li has many years industry experience in knitwear design industry with positions from senior design to design director before join PolyU. Now her main research interests are highly multidisciplinary, spanning fashion design, technical design and fundamental textile studies. Dr. Lis research outcome is recognized by both the academia and the industry and generates a great impact on fashion business. She has published over 50 research articles. 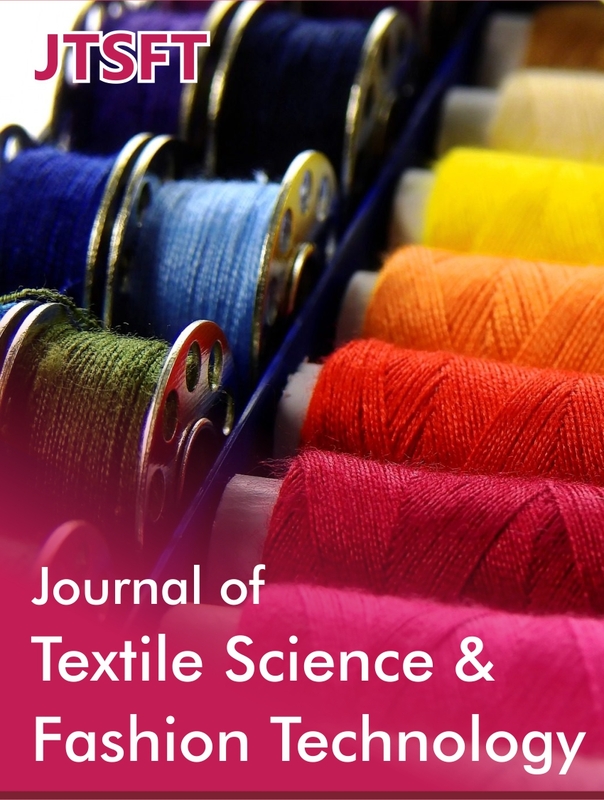 Most of them are world-leading and top-tier textile journals, including The Design Journal and Textile Research Journal. Over the past 8 years, she received seven research related awards, including the overall Champion in Arts of Fashion Foundation Competition, Golden Award in 44th International Exhibition of Inventions of Geneva and GRF Awards. On the basis of her research track record, she has always been invited as keynote and invited speaker, committee member, and track judge of several international fashion competitions. Her academic research deliverables have also been patented and successfully licensed to the industry for commercial use. Dr. Li Li has successfully collaborated with various local and international brands and apparel companies in a number of research projects. She has also served as consultant for several textile based manufacturing companies. Dr LI Li is Associate Professor in Institute of Textiles & Clothing of The Hong Kong Polytechnic University. She teaches subjects from undergraduate to doctoral level relating to functional textile design. She is currently supervising 9 PhD students. Bio-fashion, interactive fashion, creative light-emitted textile imaging with polyester optic fibre, innovative full-colour compound structured digital Jacquard textiles, foam lace, metallic fabrics, seamless fashion. Dr. Dahua Shou is an Assistant Professor of Institute of Textiles and Clothing (ITC) at The Hong Kong Polytechnic University (PolyU). His research work focuses on personal thermal management, tunable heat and mass transfer, and selective filtration and separation. He has published over 40 peer-review papers in prestigious journals such as Langmuir, Physical Review E, PNAS and Advanced Functional Materials (back cover). Dr. Shou gained his PhD at PolyU in 2013. Prior to rejoining ITC, he worked as a Postdoctoral Fellow consecutively at School of Aerospace, Mechanical and Mechatronic Engineering, Sydney University and Department of Fiber Science & Apparel Design, Cornell University. Alexandros A. Vassiliadis has a B.S. in Chemistry from University of Patras, Greece and a Ph.D. in Polymer Chemistry from University of Athens, Greece. He came to Department of Textiles, Technological Education Institute of Piraeus as Teaching Associate. He completed doctoral studies with Professor N. Hadjichristidis and worked as Adjunct Professor at TEI of Piraeus. Dr. Vassiliadis joined the faculty at the Technological Education Institute of Piraeus as Assistant Professor of Bleaching and Dyeing Technology. He was appointed Full Professor in 2009. He is on the board of Center for Technology and Research since 2002. For 8 years , he was Head of the Dyeing and Finishing Division. Professor Vassiliadis has been Head of the Department of Textile Engineering and faculty-elected member of the Research Committee. Elena Cedrola is full Professor at the University of Macerata, where she teaches Management and International Marketing. In the same university she is director of the on-line Master course in Marketing and Management. 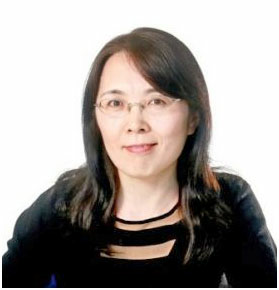 She is also Professor of International Marketing at the Catholic University of Milan, and was a visiting Scholar at the Beijing Normal University (China), at the Paris IV Sorbonne University (France) and at the Aix-Marseille University (France). Prof. Cedrolas research areas are international management and marketing for small and medium sized enterprises. Her latest studies focus on country of origin in the industrial sectors and Fashion Brands Marketing and Management. Management and internationalization of small and medium entreprises, internationalization and country of origin effect, fashion, business to business industries. Dr. Russo Pietro, graduated with laude in Chemical Engineering at the University of Salerno (I) on 1991. Later his work was held at the Institute for Research and Technology of Plastic Materials of the National Research Council (CNR), now named Institute for Polymers, Composites and Biomaterials. Since January 2001 he is researcher of the CNR. His main research interests are processing technologies including recycling of polymer based formulations and nanocomposites, green polymer composites involving bio-based matrix and/or natural reinforcing fibers, polymer materials with improved functional properties, mechanical and damage behavior of composite laminated structures. In these fields he has been the technical responsible of many research funded projects. Dr. Russo is co-author of 120 publications in refereed international journals, 3 book chapters and more than 230 communications mainly submitted to international conferences. According to SCOPUS database, the publications received more than 1230 citations, leading to a H-index value of 21. 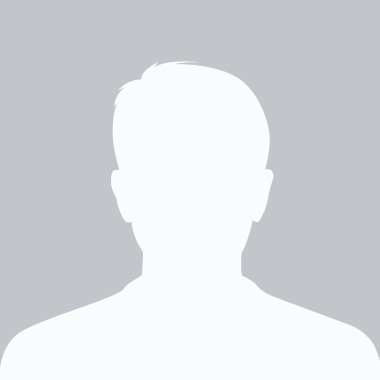 Moreover he is co-editor of 1 book titled Experimental Characterization, Predictive Mechanical and Thermal Modeling of Nanostructures and their Polymer Composites - Elsevier. Processing technologies including recycling of polymer based formulations and nanocomposites, green polymer composites involving bio-based matrix and/or natural reinforcing fibers, polymer materials with improved functional properties, mechanical and damage behavior of composite laminated structures. Rocio Sanchez‐Montero was born in Madrid, Spain. She received the M.S.degree in Telecommunications Engineering from the University of Alcala, Spain and Ph.D. degree in Telecommunications Engineering from the University of Alcala, Spain. She spent a half year in the Communications Group, University of Sheffield, UK, as predoctoral research fellow postdoctoral research fellow during four months. Currently, she is an Associate Professor at the department of Signal Processing and Communications, University of Alcala, Spain and member of the Radiation and Sensing research group of this University. RF devices, textile antennas, electromagnetism and employment of optimization techniques during RF devices design. Hongbo Liu is associate professor at Shanghai University of Engineering Science. He received his Ph D in materials science at Ecole Centrale Paris. He has worked on developing novel functional materials in state key laboratory of electrical insulation and power equipment of China and centre national de la recherche scientifique of France. Dr. Fujun Xu is the Associate Professor of the College of Textiles of Donghua University; He is a visiting scholar in University of Maryland (USA) from 2017-2018; and Joint Doctoral Student in NC State University, (USA) from 2008-2010. Now Prof. Xu is the Editorial board members of the Composites Part B: Engineering (2014-present); International Journal of Materials Science(2018-present); Advanced energy: An International Journal (2014-present); Senior member of the China Institute of Composite Materials (2017-present). His main scientific interests include: High Performance Fibers and Fiber Surface Modification; Multifunctional Fabrics; Textile Reinforced Composites; 3D Woven Fabrics/Composites. In the above fields, Prof. Xu has more than 50 peer-reviewed papers published in the journals of Adv. Mater. ; ACS Nano; Compos. Sci. Technol; Textiles Research Journal and Journal of Industrial Textiles; 30 Chinese Patents authorized and more than 20 Rewards from government for the Science and Technology Competitions. High Performance Fibers and Fiber Surface Modification, Multifunctional Fabrics, Textile Reinforced Composites, 3D Woven Fabrics/Composites. Dr. Limin Wang is a Professor at East China University of Science and Technology. He received his Ph.D. in Applied Chemistry at Dalian University of Technology in 1998 under the supervision of Prof. Zuwang Wu. He was a visiting scientist under Prof. David B. Collum at Cornell University, NY, from 2009 to 2010. His main scientific interests include chemistry of rare earth metals, synthetic methodology, fine chemicals, novel functional organic dyes. Prof. Wang has published 120 papers in international journals and been awarded 50 Chinese patents. Novel functional organic dyes, Fine Chemicals and surfactant materials, Rare-Earth Metal Compounds in Organic Synthesis, Synthetic Methodology. Dr. Damien Soulat is a Professor at French Engineering School ENSAIT (National School of Arts and Textile Industries) since 2011. He was Assistant Professor during 14 years at University of Orleans (France). His main scientific interests include: Textile and composite materials, manufacturing reinforcement, characterization and modelling reinforcements of composite materials, manufacturing process of composites, behaviour laws: experimental identification and models, natural fibres. Prof. Soulat has published more of 70 papers in international journals. Textile and composite materials, manufacturing, characterization and modelling reinforcements of composite materials, manufacturing process of composites, behaviour laws, experimental identification and models, finite element simulation, natural fibres. Riikka Raisanen works as a Senior Lecturer (Adjunct Professor) at the program of Craft Studies in the University of Helsinki, Finland. In addition to Craft Studies she has educational background in natural sciences, i.e. chemistry, physics and environmental studies, as well as education. Raisanen received her PhD degree in Craft Studies at the University of Helsinki. Her main interest is in biocolourants, especially fungal dyes. In 2015 Raisanen, with two co-authors, published a book Dyes from Nature first in Finnish (by Maahenki) and 2016 in English (by Archetype Publications). 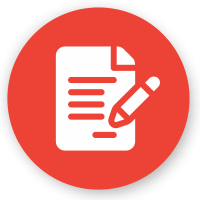 Raisanens work involves topics such as textile materials and testing, textile quality, sustainable textile consumption, dyeing as well as quantitative and qualitative research methods. She supervises Bachelor, Masters and Doctoral thesis. Dr. Raisanen publishes frequently in scientific peer-reviewed and professional journals. She participates conferences actively. She is a reviewer and a member of the editorial boards of several scientific journals. Hatice Kubra Kaynak is an Associated Professor in Textile Engineering Department of Gaziantep University, Turkey. She received her BSc degree from Kahramanmaraş Sutcu İmam University, Textile Engineering Department, Turkey, MSc degree from Gaziantep University, Textile Engineering Department , Turkey and PhD degree from Cukurova University, Textile Engineering Department, Turkey. She is now working nearly fifteen years as an academic staff of the Textile Science Division in Textile Engineering Department in Gaziantep University. She has authored over 40 peer reviewed publications and congress articles published in English and Turkish, 2 book chapters in English. Her current research interests include Weaving Technology, Technical Textiles, Textile Testing and Quality Control. Elsayed Ahmed Elnashar, Full-Professor of textiles Apparel, Kaferelsheikh University, Egypt. He holds several academic administrative positions: Dean, Vice Dean, Head of Department, he has many textiles patents, Member of international scientific committees. Development of Faculties of Education, commissioned of Supreme Council of Egyptian Universities. Has designed books published in Germany. 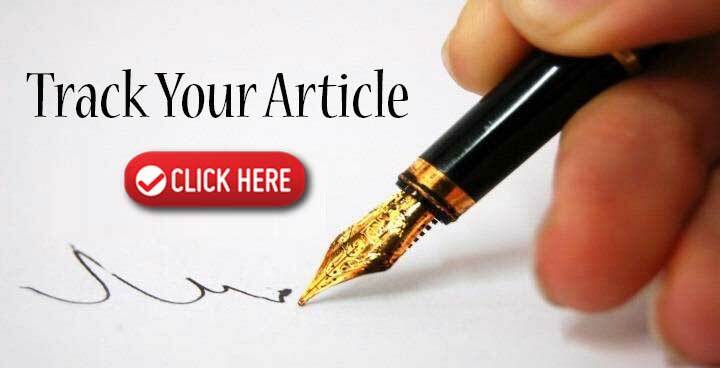 Has published over 185 scientific Articles. Editorial board member & Reviewer for more 65 journal Founder and editor two scientific journals of Smartex Conference Egypt. 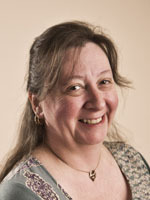 Member of the editorial board of several international journals and conferences. He has made many scientific agreements with European & Africa universities. Laser-Jet technology on weaving machine, Solar textiles (SOLATEX) of composite fabrics structures as alternative energy, Composites fabrics structures, Effect the design and materials of eyes swathe dressing and diapers clothes for infants incubator, The effective of some difference between the methods of the embroidery on some performance properties to the clothing product, The effective of some difference structures on quality of pilling cloth, Effect of some different care systems process on dyeing cotton fabrics, Effect of some fabric constructional on comfort and the aesthetic properties for kid clothes, Using remote sensing technology for monitoring of chemical pollutions and bioremediation of chemical contaminated water, Automatic pattern unwrapping technology, Spring-mass based modeling for fabrics physics to 3D garment, Cloth design and application, Clothing simulation and animation, Tires and rubber industry. Ivana Salopek Cubric is associate professor at University of Zagreb Faculty of textile technology with completed studies in technical and sciences and PhD in the field of technical sciences. She is the author of 100 scientific and professional papers, a member of the editorial boards of several scientific journals, executive board member of the Croatian Ergonomic Society, co-organizer of 10 international scientific conferences, and an external associate of the national Institute for standards. She is active head and researcher on a scientific and educational projects funded by EU and national institutions. Thermal comfort, Heat and water vapour transfer trough textile materials, Yarn design, Knitted fabric design, Education in the field of textiles and fashion. Prof. Dr. Taher Rajab Kaddar joined the Damascus University in September 2017 as full time member of Staff. He completed his PhD at Gheorghe Asachi Technical University of IASI, in 1985 and subsequently worked as a researcher and the head of the textile division, and then head of the studies department in the General Establishment of Textile Industries in Damascus, Syria, a lecturer in Damascus University at the Faculty of Mechanical and Electrical Engineering, assistant director of the Directorate of Manufacturing and Chairman of Scientific Research and Industrial Development Department in the Military Housing Establishment (MILIHOUSE), and then director of Manufacturing Directorate. Management representative of MILIHOUSE for quality management systems. Member of the teaching staff Professor in the rank of excellent and first class. Head of Textile and spinning Engineering department in Faculty of Chemical and Petroleum Engineering in Al-Baath University previously, member of the Central Committee for Quality and accreditation at Al-Baath University. Head of scientific committee-of AL Basel exhibition for inventions and creations, Damascus, Syria (1992-2003). Tahers main activities and responsibilities are Education & training & Consulting & Scientific Research in Higher Education. Engineered textile technology and structures, Textile structural composites, Nano textiles and nanotechnology, Computer aided design and modeling of fibers, yarns and fabrics, Fiber, yarn and fabric formation and properties, Textile machinery and manufacturing, Testing and analysis of fibers, yarns, fabrics and composites.